Fitting is nice and design is also good. 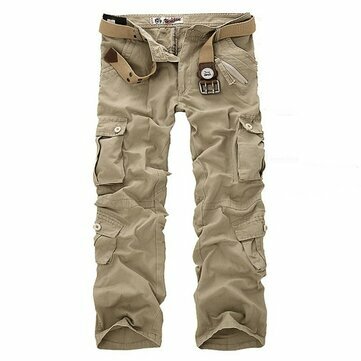 I hereby revoke the contract I have concluded with us for the purchase of the following Goods: Men's Multi Pocket Military Cargo Army work Combat Pants / Herren Multi Pocket Militär Cargo Armee Arbeit CombaT-Hosen Hosen Please cancel my Product because it ist Not in my Size. Ordered 3 colours, same size - all fit perfect. Front top pocket is for show, but the rest of the pockets are functional. Leg length is perfect - doesn't go under shoes. Ordered 9th feb, arrived 28th feb - pretty good for free shipping. Pics look a little more vibrant than fabric colour in real life but not much difference. Overall, worth it!